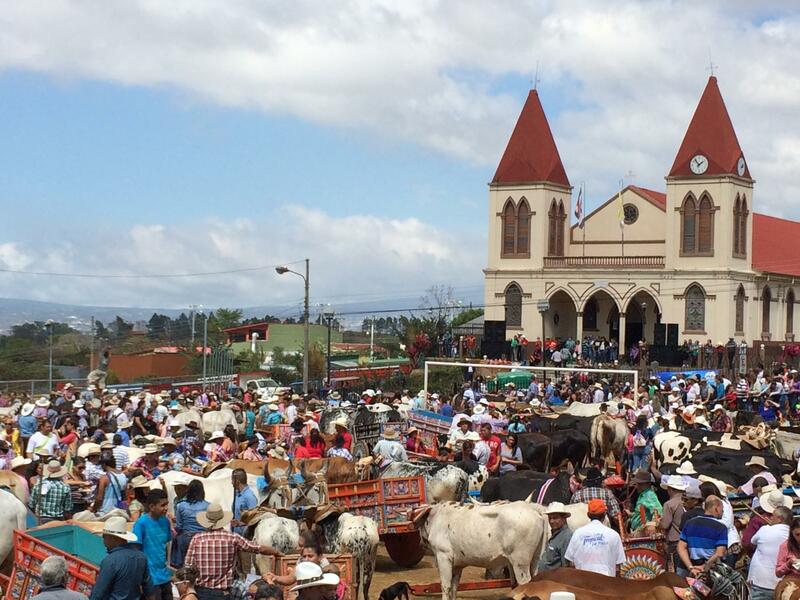 Every second Sunday in March, el Día de Boyero (Day of the Oxcart Driver) is celebrated in San Antonio de Escazú, Costa Rica. It’s a day when the townspeople flood into the streets to honor Costa Rican’s history of using oxcarts to transport crops throughout the country. Booths are set up to sell delicious local food and arts and crafts. The main attraction is the parade. It starts with music and young dancers, followed by the boyeros. 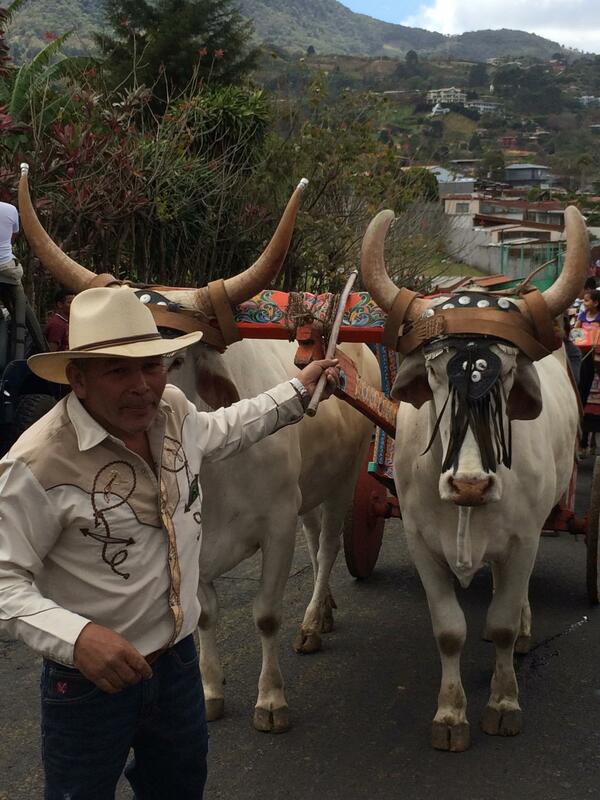 About 100 boyeros participated in the parade displaying their oxen and oxcarts. Each one wore a number with the chance of winning an oxcart that was raffled off to all the participants. At the end of the parade, the oxen, oxcarts, and boyeros gather in the town’s soccer field. This is the perfect opportunity to be up close with the oxen. (Even though there was a bit of fear of being head-butted or kicked…). 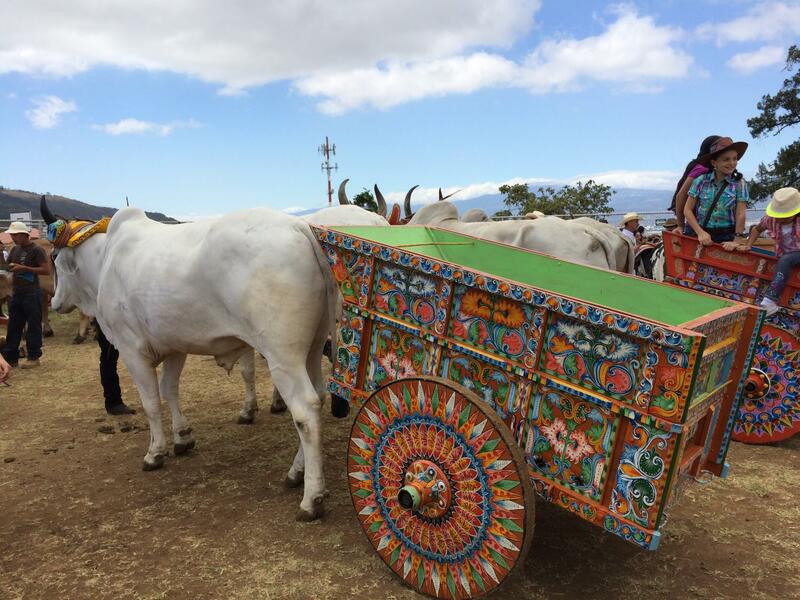 The oxcart is an iconic symbol representing Costa Rican’s agricultural labor. They are beautifully decorated and hand painted. Originally, each region had its own design to identify the origin of the oxcart driver. To learn more about the traditional oxcarts, I also visited Sarchí, Costa Rica. 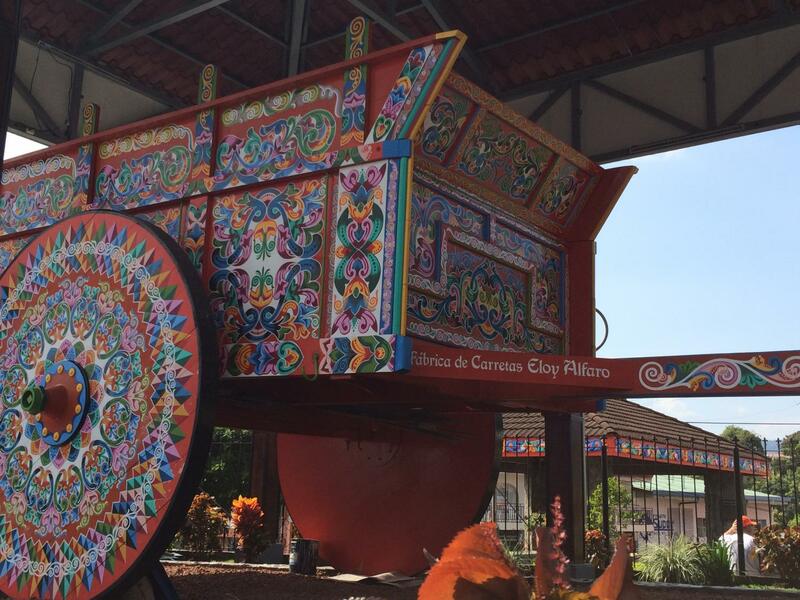 Sarchí has two oxcart factories where you can see them being produced and painted. This town is also known for housing the largest oxcart in the world! 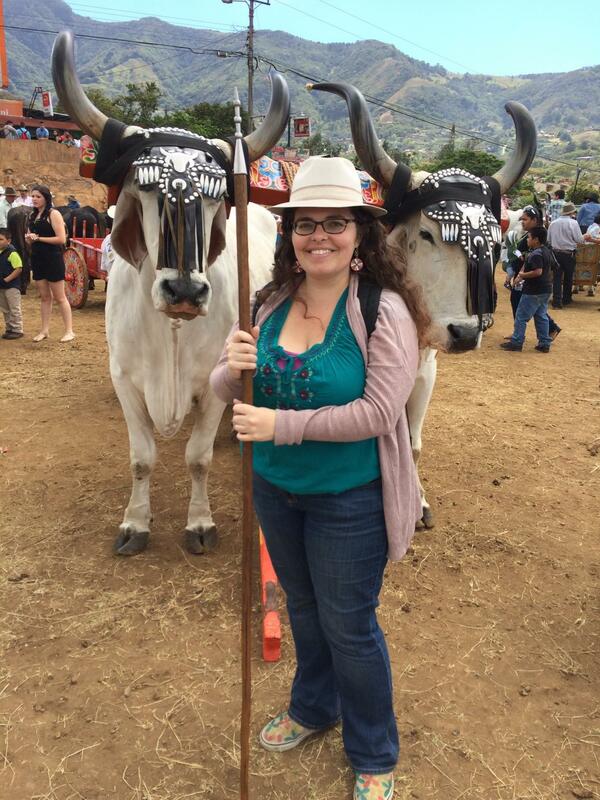 As a Kiva fellow, I have enjoyed being part of the cultural festivities and learn more about the country where I work. Kelly was born and raised in the San Francisco Bay Area, California. She received a BA in Global Economics and Latin American Studies from UC Santa Cruz, which included studying abroad at Complutense University of Madrid, Spain for one year, and a summer in Cuernavaca, Mexico. Kelly also received a Trans-Global Executive MBA from Saint Mary’s College of California. During the MBA program, Kelly became interested in corporate social responsibility, including the social and environmental benefits and impacts of an organization. Additionally, Kelly co-authored a business plan to promote her client’s sustainability principles across Zanzibar, East Africa in a way that resulted in certain social, cultural, and financial benefits to local communities at the base of the economic pyramid. Kelly has extensive experience in Latin America as an Amigos de las Americas volunteer working on community service projects and focusing on sustainable development while living in Honduras, Paraguay, and The Dominican Republic. 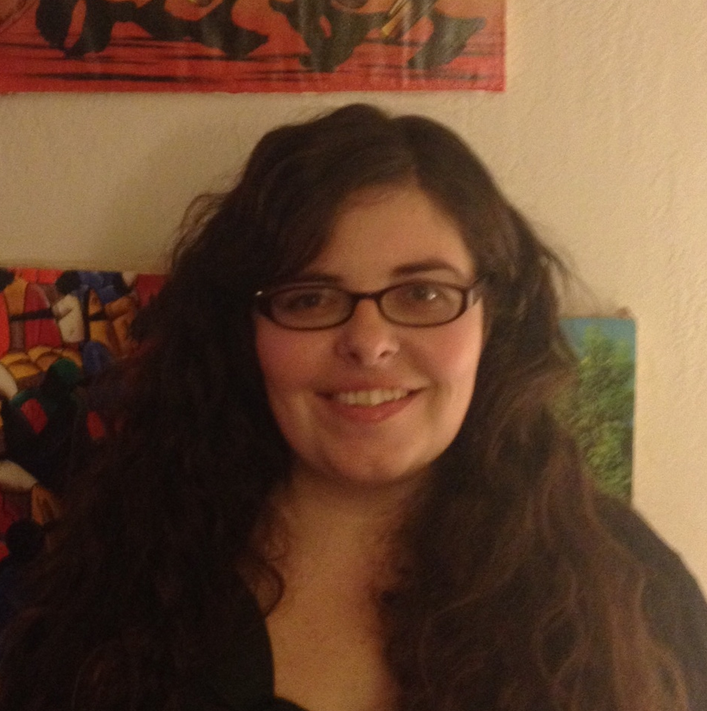 Kelly is excited for this opportunity to serve as a Kiva Fellow and participate in collaborative economic development.